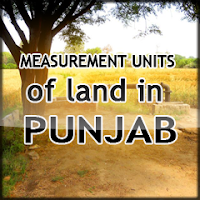 The following are the basic 'measurements of land used in Punjab and Haryana' in ascending order. A killa is measured rectangularly, reckoned as an area 36 karams (198 ft) x 40 karams (220 ft) (43,560 square ft). Kothis are measured in marlas and kanaals. Most are two to four kanaals but the big ones can be anything from four to six kanaals. 1. 1 Sq. Karam or Sarsahi 3.3611111 Sq.yds. 2. 9 Sarsahies or 1 Marla 30.249999 Sq.yds say 30.25 Sq.yds. 3. 20 Marlas or 1 Kanal 604.99996 Sq.yds say 605 Sq.yds. 2. 1 Sq. Karam or Sarsahi 2.777777 Sq. yds. 3. 9 Sarsahies or 1 Marla 24.999999 Sq. yards say 25 Sq.yards. 2. 1 Sq. Karam or Sarsahi 2.5511188 Sq.yds. 4. 20 Marlas or 1 Kanal 459.20138 Sq.yards say 459 Sq.yards. 2. 1 Sq. Karam or Sarsahi 2.25 Sq.yds. 4. 20 Marlas or 1 Kanal 405 Sq.yards. This blog is so useful. Our IELTS classes in Kuwait have been designed for students wishing to improve their IELTS skills. The course is appropriate both for learners seeking to enter an English-speaking university, school or college, as well as for people who may need to provide an IELTS score for the purposes of employment or immigration to an English-speaking country. Thumbs up!!! really useful for people like me who only know the new generation measurements. KUDOS!! Thank you, very useful information. Yes Mr. Jaawed Rana is right. The measurements scale so useful for everyone. 1 biswa is equal to 1361.4sqft. Am I right or wrong. Please clarify.